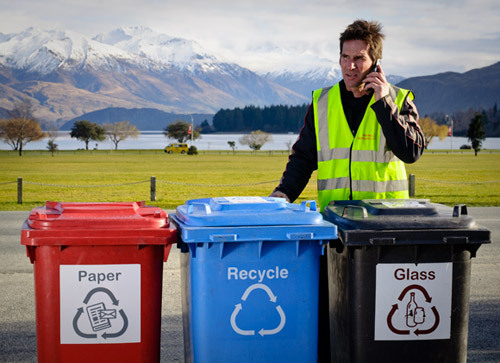 Wastebusters has sorted the recycling for businesses in Central Otago since 2006. More than 400 businesses recycle with us, and nearly all say they recycle because it is good for the environment. 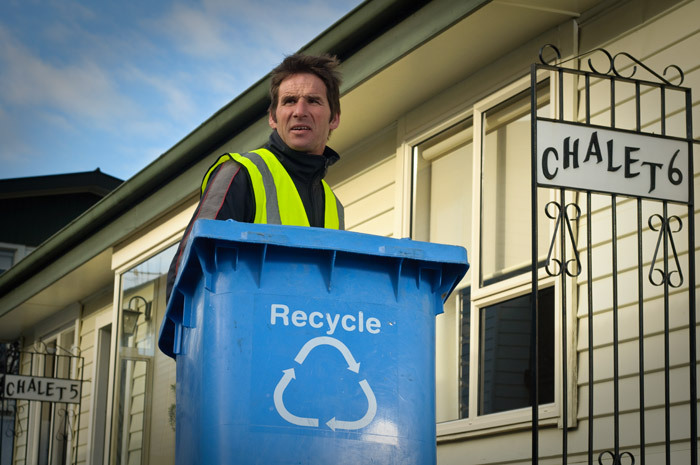 You can also drop off all those materials for recycling at our recycling centres in Wanaka and Alexandra. Click here for a map to find our sites. We have a free collection service for used vegetable oil in Wanaka. The used vegetable oil is made into biodiesel. reusable glass bottles (keep separate for re-use ie Emersons, Green Man, Bombay Sapphire, Waiwera water, Speights swap-a-crate). We have three main options but we can tweak any of these packages to suit your business. Ideal for guests at motels and apartments. Package consists of three clearly labelled wheelie bins: grey for glass, blue for plastic/ cans and red for paper/cardboard. We check bins weekly or on request. Designed to handle high volumes of recycling behind the scenes. Package consists of a combination of wheelie bins (usually for glass) and fadges to handle bulk cardboard packaging and plastic containers. We check the recycling station up to three times a week if needed. Suits offices and small businesses who mostly recycle paper and cardboard, with some mixed glass and plastics. We can provide you with clean green recycling sacks to deal with moderate amounts of recycling. We check the recycling station weekly or on request. Any system can be tweaked with a unique combination of wheelie bins, fadges and green sacks to suit your business. Some businesses may find it convenient to drop off their own recycling. We can set up an account for monthly invoicing. The drop off price is about half the price of the standard pick-up costs. You can drop recycling off at Wastebusters any time we’re open.